Every part sold from Raceway Auto & Truck Parts in Savannah, Tenn. has been through at least four pairs of hands, and eyes, before it reaches the customer. Quality control is something sales manager (and future owner as of January 2012) Gary Coln takes very seriously. He set up a four-point checklist to make sure no part is delivered or shipped with unknown damage. The check begins when the vehicle arrives. A complete walk-around is done and sheet metal damage is circled. The vehicle is checked a second time in dismantling. A third check occurs when a part is sold. Each parts puller has a quality control checklist. If additional damage is found, the puller goes into the Pinnacle Pro system and adds a damage resolution to the work order. The resolution immediately flags the salesperson’s work order and informs him or her about the damage. The part is checked a fourth time in the delivery holding area, before loaded on the truck. Coln credits part of his accurate system to the United Recyclers Group (U-R-G.com), which requires the initial walk-around check for URG 8000 accreditation. He has been a URG member since 2004 when he made the switch to Pinnacle. Coln is also a member of one of Counts Consulting and Profit Team Groups. For more than five years he and a group of nine other facilities get together to go over numbers and maximize every angle of the business. “That’s one of the things that have given us these ideas on how to control damage from parts pulling to deliveries,” Coln admitted. Raceway Auto & Truck Parts started in 1987 as Bobby’s Body Shop. Gary’s father, Bobby Coln, had a dream to own a used parts business and the body shop was his start. That’s when Gary came into the picture. Gary got his first ideas by attending Locator on Location conventions. That’s when he prompted his father to buy their first inventory system, Auto Info, and the parts business grew. By the early 1990s, the body shop was gone. Over the next 10 years Bobby’s Body Shop switched inventory systems twice and acquired a second yard, Raceway Auto Parts in Lawrenceburg, Tenn. Raceway Auto Parts was built on an oval dirt racetrack. The Coln’s liked the name and changed Bobby’s Body Shop to Raceway Auto & Truck Parts to keep the businesses consistent. The renovated Lawrenceburg location was sold two years later to an interested party for a profit. It was then Gary and Bobby decided to solely focus on the original Savannah location. 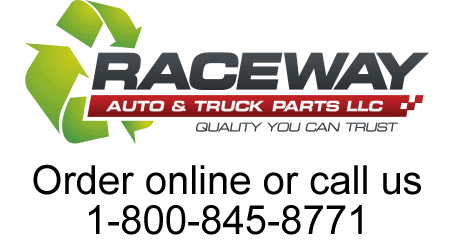 Although Raceway Auto & Truck Parts is not involved in track racing, it has put together a demolition derby at the local fair for the nearly 20 years.